During the summer months I always infuse or “brew” cold coffee at our home. The full and dynamic flavor with low acidity that cold brewed coffee provides is something that I love. 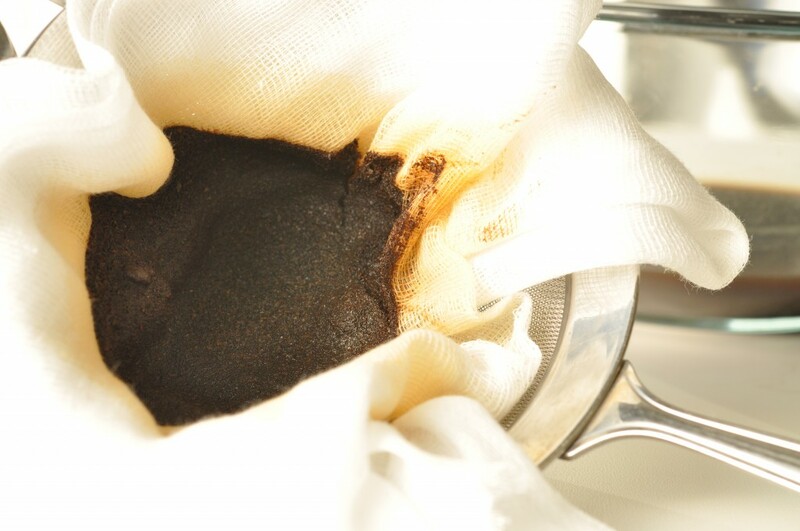 Infusing cold allows you to detect flavor nuances in the coffee which are nearly impossible to detect when brewed hot. Ordinarily I pour some of the cold infused coffee concentrate in some water with a touch of sugar and cream and serve it on the rocks. At times I will add a touch of gelatin to cold brewed coffee and serve as dessert. Along with a small crème brûlée or a small amount of vanilla or chocolate gelato it is very delicious. 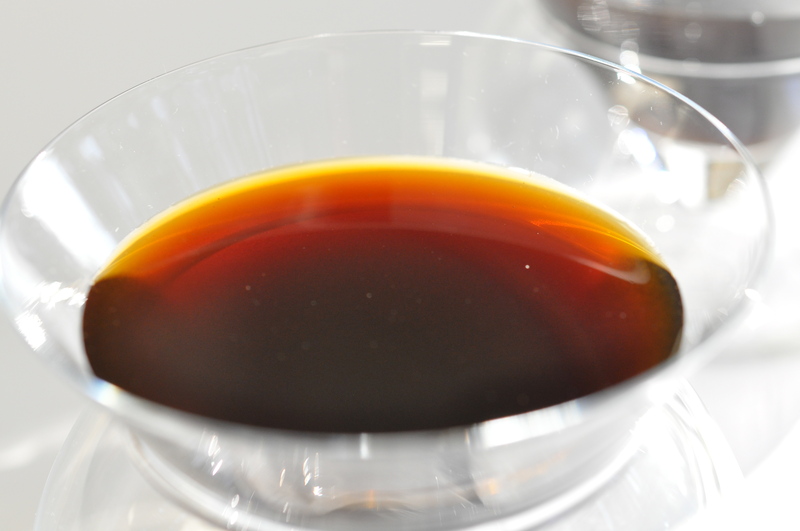 To make cold brewed coffee it is important to start off with excellent coffee which has no bitter or harsh undertones. 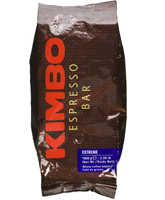 My preference to use is espresso made by Kimbo ®; this Italian coffee has slight chocolate and buttery undertones which are perfect for this dessert. The brewing or infusing process takes 12 hours so do this step ahead. The infusion will last for a week in the refrigerator. 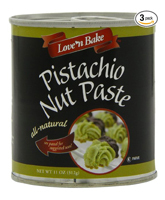 Combine the ingredients in a non reactive container and cover with plastic food wrap. 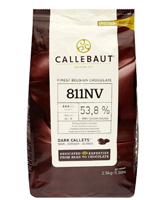 At room temperature infuse for 12-18 hours. Strain through a cheesecloth or a very fine chinois. 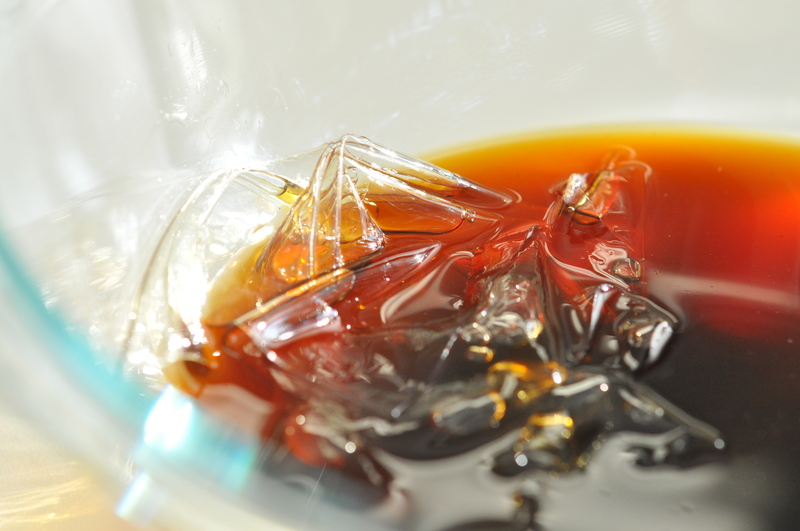 Mix about ½ cup of cold brewed coffee with ½ cup of water (or as desired). Add sugar and milk if desired. Serve on ice. Bring the water to a boil and add the sugar. Let cool to lukewarm and add the coffee infusion. Meanwhile place the gelatin sheets in iced water to bloom. Squeeze the gelatin sheets to remove excess water and add to above. Add vanilla and pour into desired glasses. Place in a refrigerator and let firm for a few hours. 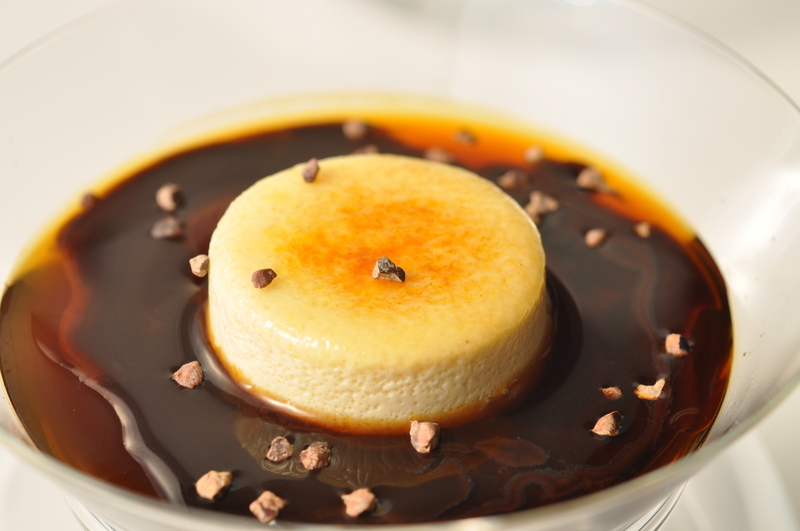 Place a crème brûlée on top and sprinkle with sugar. 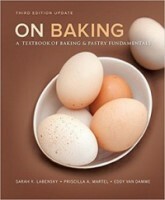 Caramelize and serve with caramel chocolate sauce (On baking 2 edition page 550) and cocoa nibs. Bring the cream, milk and sugar to a boil. Add the vanilla bean paste and cover with plastic food wrap. Infuse until lukewarm, about 25 minutes. Place the yolks in a bowl, add a few tablespoons of the infusion and whisk well until smooth. Add a little more and repeat. Add the remaining amount and pour through a chinois. Pour in silicone forms for above process. The crème brûlée mixture can also be poured into standard ramekins. 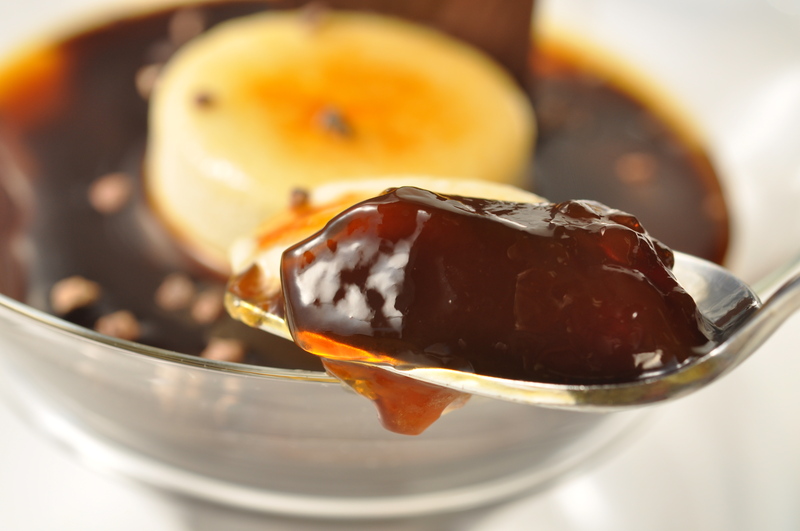 Place in a water bath and bake at 300°F (150°C) until the crème brûlée no longer trembles. 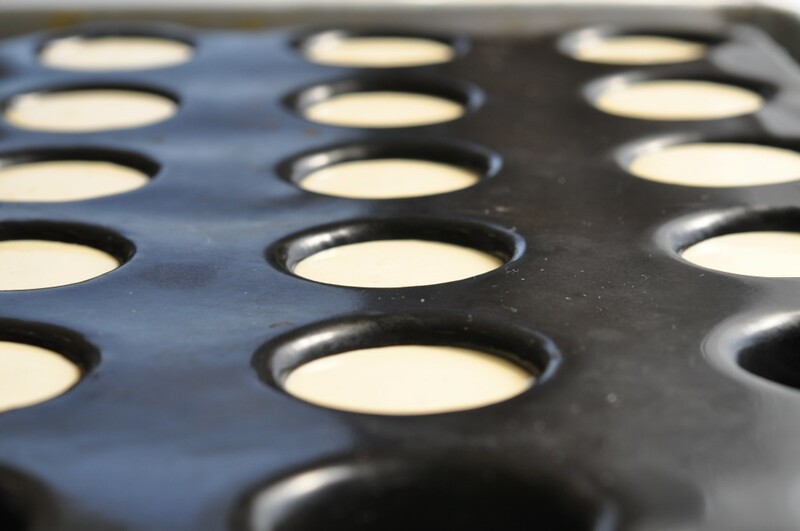 Freeze the silicone filled crème brûlée overnight before unmolding. Crème brûlée in ramekins is not unmolded. This one looks great… Later Chef Eddy.. I am SUCH a huge coffee fan… this looks like something I could really enjoy! The finished product looks simply amazing!!! I’ve never liked my coffee cold, but I’m willing to go out on a limb on this one. Looks like I’ve got another recipe to add to my “to try” list. Thanks for sharing! Thank you for sharing so many great recipes to us ! I hope you will publish the new book soon !! This recipe for sure looks amazing and I am sure it tastes as good as it looks, I was wondering if I could substitute powdered gelatin for the gelatin sheets as I think they are not available where I live now , and if yes what is the amount I should be using for this recipe, Thanks a lot !! Could you use the Coffe extract that you presented on the website? Or would the exttract be to strong of a flavor? Okay, you had me at coffee. I loooove coffee! Some might say I am a coffee addict, I love anything and everything that has coffee as an ingredient. 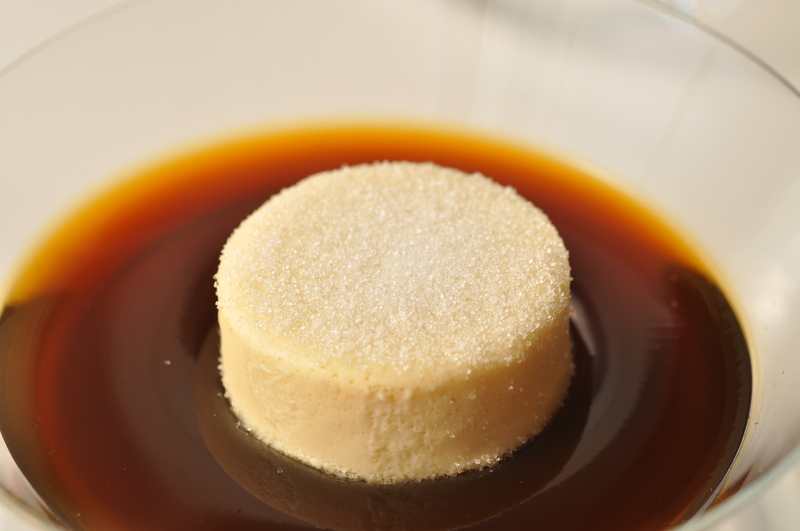 I have had coffee many, many ways but not as a gelee and I find coffee as a gelee very intriguing. Therefore, I must try this recipe. Thanks Chef! that looks fantastic! How would you recommend adding a flavor to the coffee? 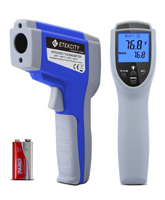 Should i use an extract or something else? What strength of gelatin sheets are you using?